A recent study published in JAMA Internal Medicine found that mortality of patients during Joint Commission surveys was reduced by 6% compared to before and after the surveys. The study, authored by Andrew Olenski, Michael Barnett and Anupam Jena, attributed the improved patient outcomes to the “Hawthorne Effect.” The “Hawthorne Effect” suggests that people actively change their behavior when they know they are being observed and monitored. “To maintain accreditation, hospitals are required to undergo these unannounced, week-long inspections every 18 to 36 months. Officials assess the hospital’s adherence to a number of quality and safety processes, including hand hygiene, infection control protocols, and proper documentation, to name a few. The stakes for hospitals are high – loss of accreditation in the review process can harm a hospital’s reputation or even presage closure. So hospital staff are keenly aware of their behavior during the inspection period. Some observers have called these visits “Code J” and noted that hospitals mobilize tremendous resources to deal with these visits. Indeed, two of us (Jena and Barnett) work at large teaching hospitals in Boston and have observed several Joint Commission visits: the inspection week is stressful for hospital executives and staff, starting with a flurry of emails to hospital employees making them aware that a Joint Commission inspection is underway. Despite the level of attention these visits get, their immediate effect on physician behavior and patient outcomes has not been explored. While the findings highlight an important change amongst hospital staff, the exact changes in behavior that lead to the improved patient outcomes are almost impossible to pinpoint. However, there may be ways we can take advantage of the “Hawthorn Effect” to improve employee behavior even when surveyors are not around. 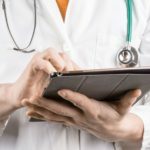 Having a proactive system such as iRIScope, which tracks endoscopes throughout their usage lifecycle, can improve employee behavior by constantly documenting which steps in their processes they are completing as well as those they aren’t. Technology such as this, coupled with proactive monitoring and re-training by managers, can help drive better outcomes like those documented in this study even when Joint Commission is not around.